Our motion offense is based upon the traditional Princeton Offense – “Chin”. We spread the floor and create opportunities to cut to the basket for lay-ups or find 3pt shooters spaced around the arc. Even though players are assigned a number, we try to teach our offense so that all players know all the positions on the floor. In this video clip we show a few initial options of the offense. Like all good offensive sets, you hope to score on our first option! It’s amazing how often we get our first cutter open for a scoring opportunity. It takes a hard cut, good screen and great pass…but all those put together create easy offense! 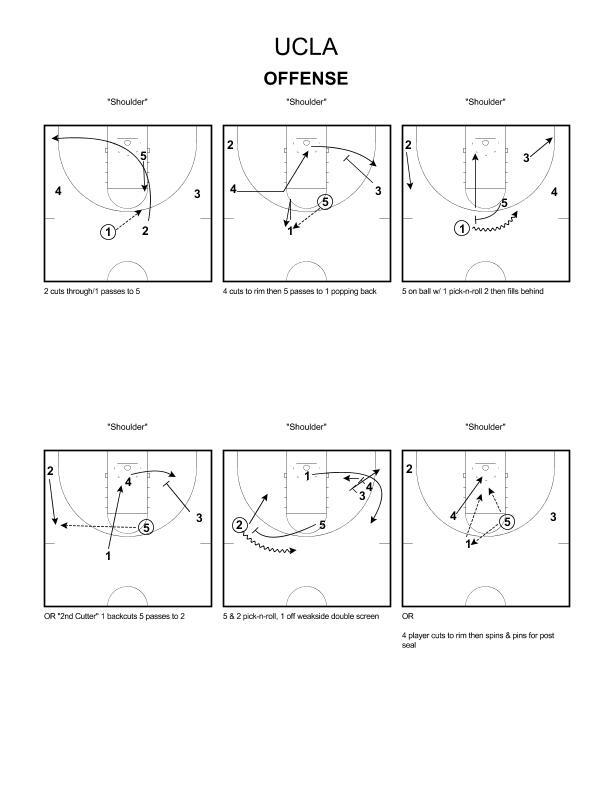 This play gives us lots of options and puts pressure on the defense to defend cutters, screens and communicate. 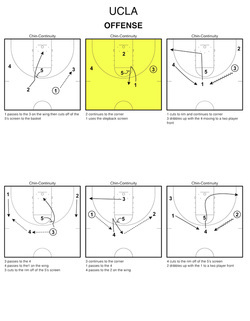 Our first option is always the quick backdoor by the cutter to the rim. You would be surprised how often that cut is open for a lay-up…just ask Kacy Swain!! 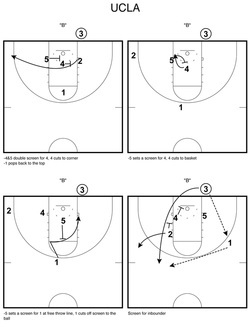 In this video clip we get to the pic-n-roll action and create a scoring opportunity for our post player on the block. While this is happening, we have shooters balancing the floor for inside-out action. 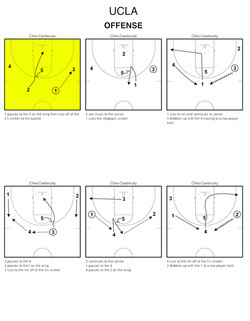 Any time we need a bucket or want to put pressure on the defense, this is one of our favorite plays to call. Click the image at the left to make it larger. 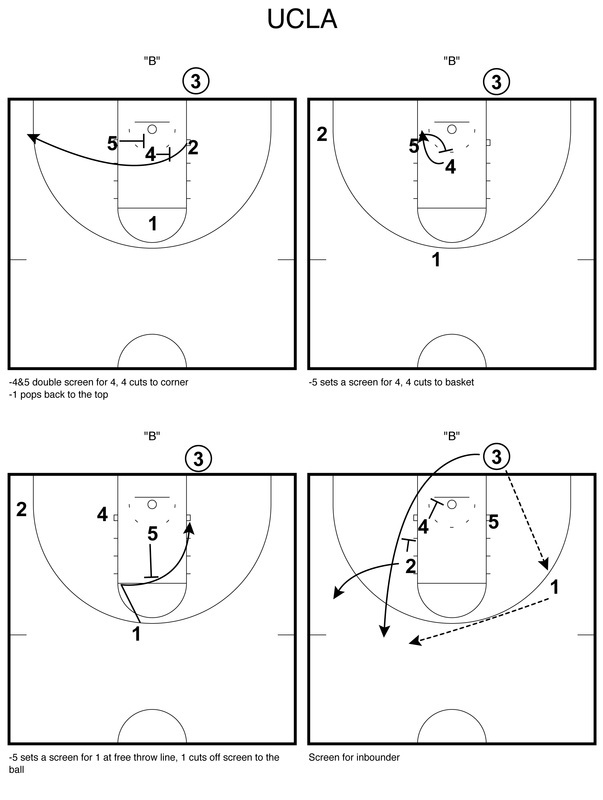 This out of bounds play presents us many scoring options. 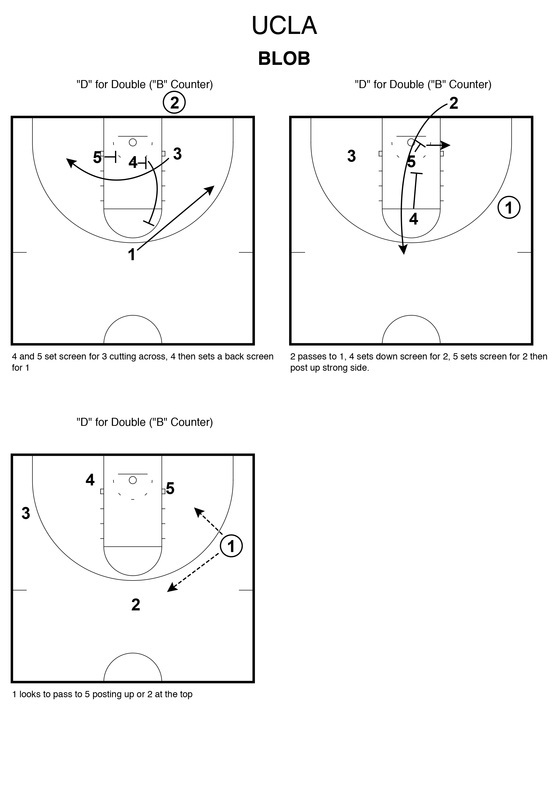 First option is a double screen for the shooter, and then the post players screen for each other. We often get a shot for the shooter or will get a pass to the post off of the screening action. The post players have some flexibility to read the defense and set or slip screens appropriately. If those options don’t work, we still have an option to get the ball to the player passing the ball in as she comes off of screens. 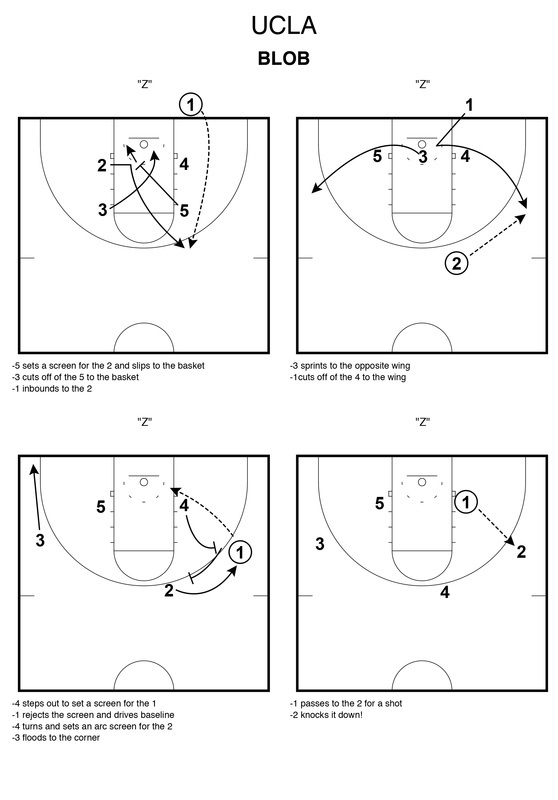 In the video clip of this play, we are able to pass the ball to Jasmine Dixon after she sets a screen…2pts Bruins! Jasmine scored the game winning basket this year on a similar play versus St. John’s with 2 seconds left in OT! 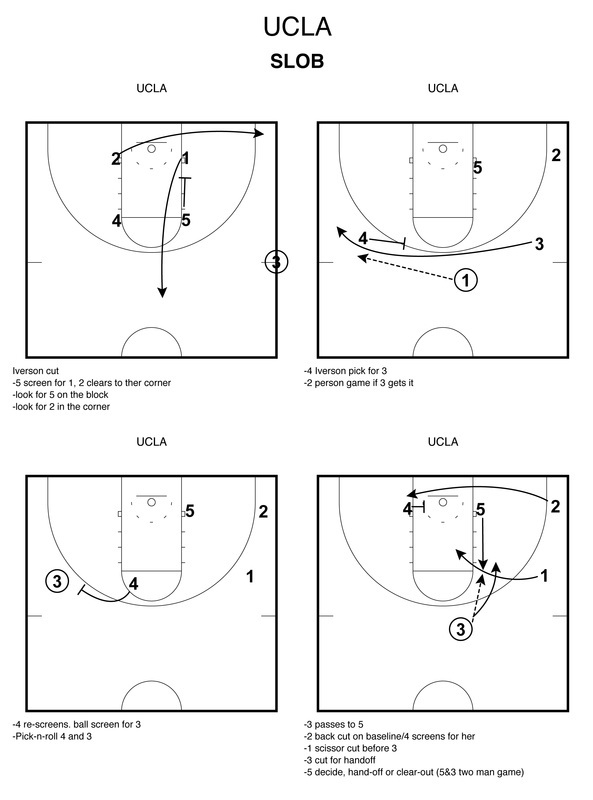 Good screeners and good passers make plays look easy…Go Bruins! !